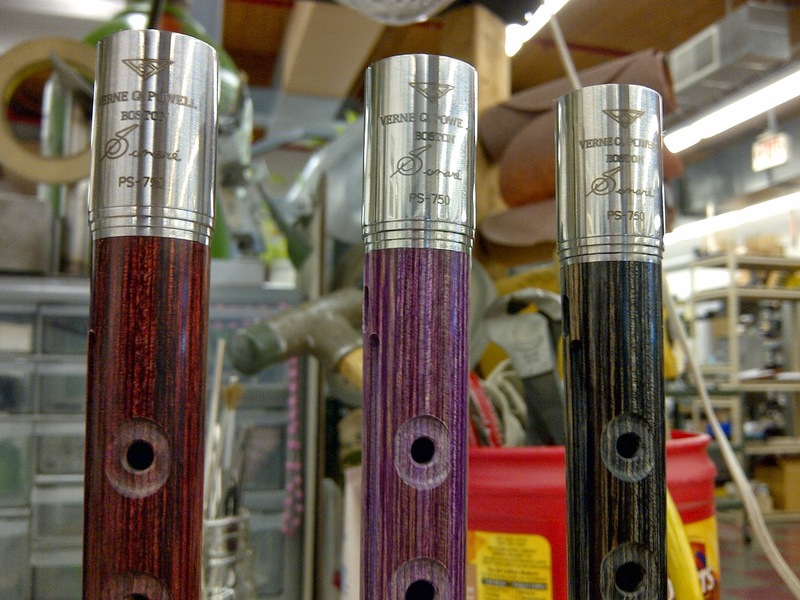 We've had a couple of dealer inquiries about padding the Powell Sonaré PS-750 piccolo, which is understandable given the very different "look" of the instrument. It has square keys and a stainless steel mechanism. So, how do you pad it? Well, the answer is quite simple. 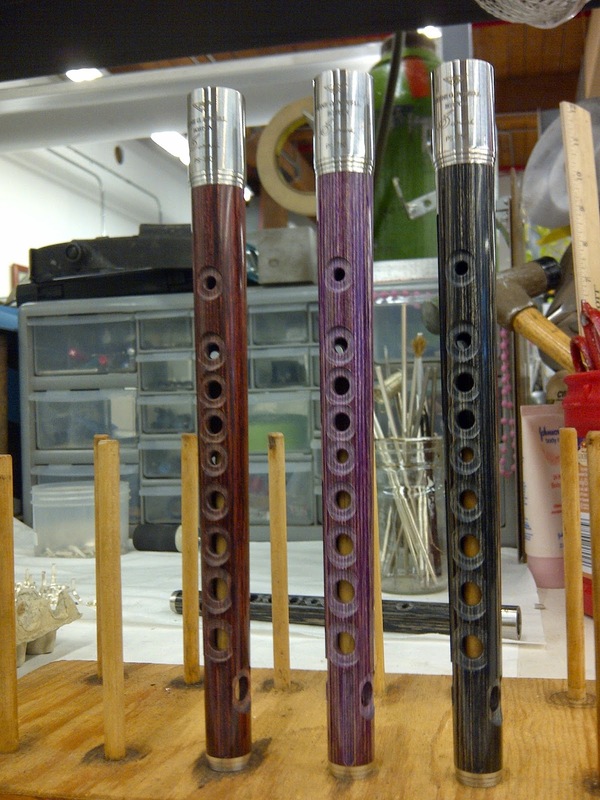 Powell Repair Technician, Rachel Baker, tells us that you "pad it like a normal piccolo." The mechanism itself has square keys, but if you look on the underside of these keys, you will see regular, round, felt piccolo pads. How are they held on? Well, there is actually a circular groove cut into the key, essentially creating a "key cup" for the pad. Also, the actual tone holes in the body of the flute are round. Rachel says she uses the very same scoring process and shellac as with the Custom and Signature piccolos to help seat the pads. We wrote a post on piccolo padding that you can read by clicking this link. But what about the stainless steel? Does that require a different heating process? Actually, Rachel tells us that she heats them just as she would heat round, silver key cups. She says that stainless steel transports heat the same way as silver, and heating these metals takes the same amount of time. So, she says you simply, "heat it and float it" when you seat a pad on the PS-750. 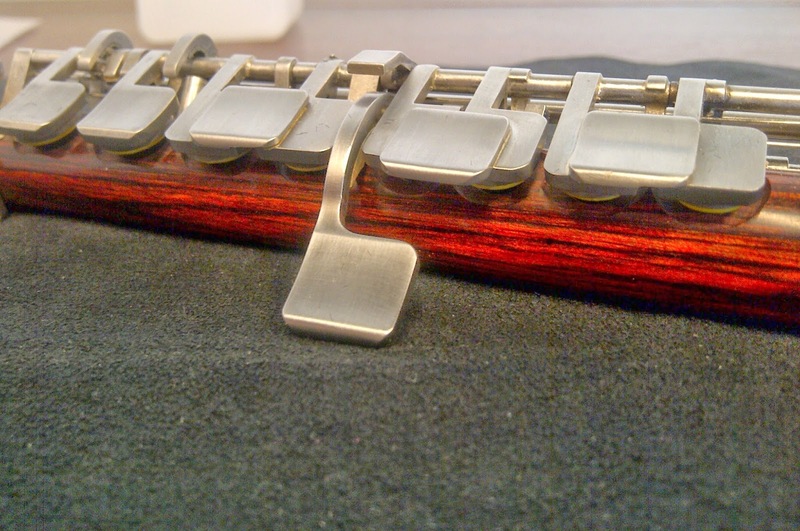 For more details on this piccolo, click here to visit the PS-750 page on the Powell website. Underside of square keys has a round grooved "cup" to hold round pads. Closer view of underside of keys. Close-up on the tone holes.